Most of the compact cars of the 1970s had unique styling when compared to their larger counterparts. For instance Ford’s very popular compact car, the Maverick, which debuted for the 1970 model year had styling that was different from Ford’s mid-size and full-size cars at the time. Though the Maverick was a very popular car that was extremely profitable, a few years into Maverick production Ford had decided that the Maverick’s replacement would be a different type of car. The Maverick’s replacement was the Granada, which debuted for the 1975 model year. The name was borrowed from a European Ford model which had no relation to the U.S. version. The Maverick still remained popular and continued production through the 1977 model year. Where the Granada was different than the Maverick was its formal boxy styling versus the Maverick’s more sporty streamline semi-fastback styling. Ford crafted the new Granada’s styling so that it would look like a mini version of its popular full-size LTD and its popular mid-size 2-door 1974 Ford Gran Torino Elite which starting in 1975 became the Ford Elite. In the 1970s, the Personal luxury car replaced the performance car as the status symbol car, it was a market that the Ford Thunderbird had started in 1958 when it received a second seating row. 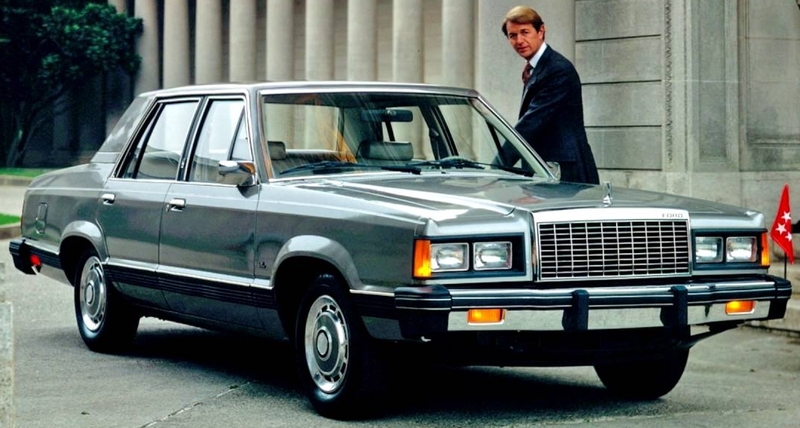 Ford was trying to tap into the lower-end of this market segment by marketed the Granada as a more upscale compact car which was available in both 2-door and 4-door models – both of which had very a formal roofline. There was also a 4-door station wagon version available for the 1981 and 1982 model years. The Granada was built on an unibody platform and was in production from 1975 through 1982. The 1975-1980 Granada was the first generation. Its boxy styling was accompanied by a formal vertical front grille surrounded by single round headlights on either side from 1975-1977. For 1978, the front end was restyled with a new square headlight design and a new front-end and rear-end design. The 1981-1982 Granada is the second generation and was built on Ford’s Fox platform. It still was boxy but it was a more streamlined squarish styling – though still a formal looking car its aerodynamics were far superior to the previous generation Granada. The 1981-1982 Granada received quad square headlights. The 1975-1980 Granada was considered a compact car while the slightly smaller 1981-1982 Granada was considered a mid-size car. The reason for the change was the drastic downsizing all U.S. cars had undergone by 1981. Ford’s Lincoln-Mercury division also produced two cars based on the Granada. For Mercury it was the 1975-1980 Mercury Monarch which you had to take a second look at to see the difference between it and the Granada. 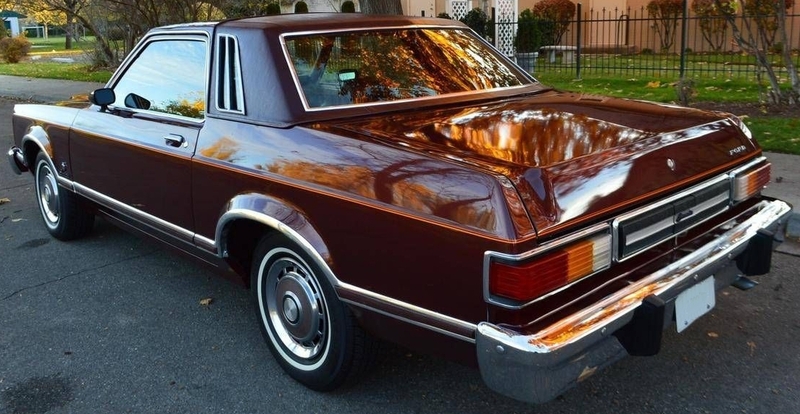 Lincoln’s version was the very upscale 4-wheel disc brake equipped 1977-1980 Versailles which had the finest luxury options available at the time. 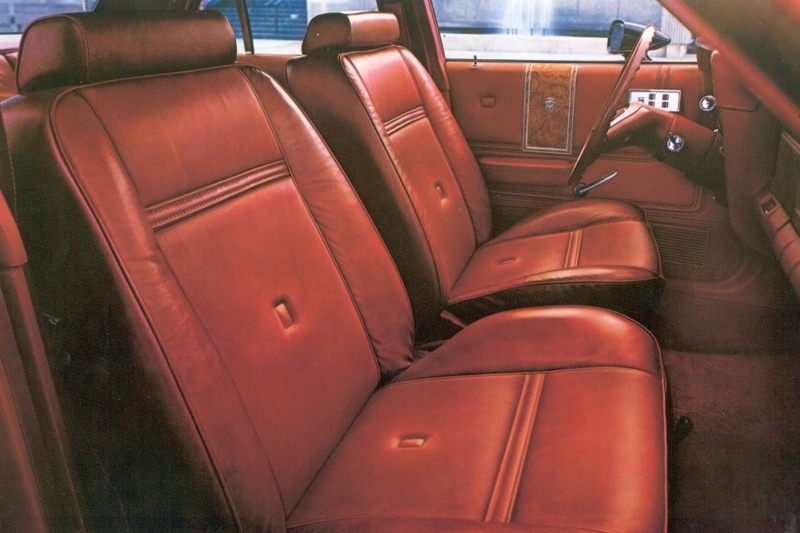 Though the Versailles had the Granada’s overall body-shape, its styling was unique and looked the part of being a competitor to the ultra luxury Cadillac Seville. 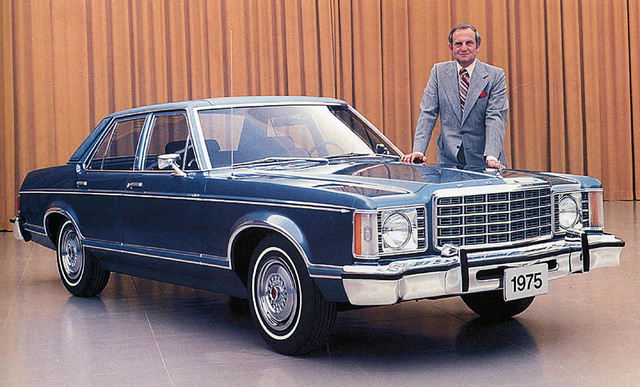 The 1975-1982 Ford Granada would be considered a full-size car in today’s car market, so it comes as no surprise that its interior was spacious and could seat comfortably 5 to 6 adults depending on the front seating configuration. Seating surface choices including basic vinyl, upgraded vinyl, cloth, and upgraded cloth. Surprisingly Ford also managed to offer in the Granada for a limited time a leather seating option. There were numerous power and convenience options available during every model year. The Granda’s trunk space by today’s standards would be considered very large. Though the Granda was offered in numerous different trim levels over its eight year model run, two really standout. The Ghia which was a luxury trim model offered during the first few years of production and the ESS which was short for European Sports Sedan. The ESS was available from 1978-1980 and included blacked-out exterior trim and other European inspired exterior accents. The ESS really looked the part when equipped with the following options – leather wrapped steering wheel and a center console which housed the automatic shifter. Inside the Granada’s cabin, Ford went a little crazy with the simulated wood dash trim but it was very popular trend at the time. 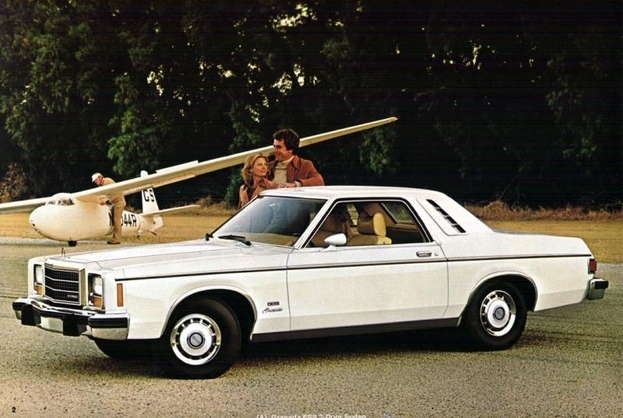 Ford had a really popular TV and print ad campaign during the 1970s where it compared the Granada to a Mercedes Benz. Some of these included comical TV commercials where Mercedes owners mistook a Granada for their Mercedes. When the 1975 Granada debuted it had all of the Maverick’s engines available – the 200 cubic-inch (3.3 liter) straight-6, 250 cubic-inch (4.1 liter) straight-6, and a 2-barrel carburetor equipped 302 cubic-inch (5.0 liter) small- block V8. These engine choices remained through 1977. From 1975-1977, the Granada was available with a 2-barrel carburetor equipped equipped 351 cubic-inch (5.8 liter) small-block V8 which was not available in the Maverick. However before you start celebrating, it was rated between 135 and 152 horsepower depending on model year. The 302 V8 was available in the Granada from 1975-1980 and produced anywhere from 122 to 139 horsepower depending on production year. Worth noting the 302 could provide good performance when outfitted with the available 4-speed manual transmission instead of the 3-speed automatic transmission – not many 302 Granadas were produced with the 4-speed but they were fun to drive. The good low-end torque of the 302 and 351 V8s made these engines worth the extra price. The 302 and 351 may have been tuned for fuel economy but with very modest inexpensive performance upgrades 200+ horsepower was a piece of cake, with more aggressive mods 300+ horsepower was obtainable for these two V8s. The 200 straight-6 bit the dust by 1978, the 250 straight-6 was the only remaining six cylinder from 1978-1980. Starting in 1978, the 302 V8 was the only V8 remaining. For 1981 the 302 V8 was replaced with a 115 horsepower 2-barrel 255 cubic-inch (4.2 liter) V8 and the 200 cubic-inch (3.3 liter) straight-6 returned replacing the 250 straight-six. Worth noting, the 2-barrel 4.2 liter V8 made its first debut in the Granada as the base engine in the California market 1980 Granada. A 140 cubic-inch (2.3 liter) 4-cylinder was a new addition to the Granada starting in 1981. 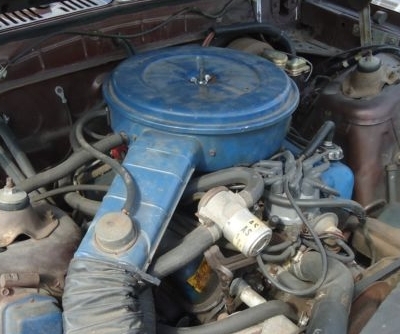 All 1981 engines carried over to 1982 unchanged, however early in the 1982 production run the 200 straight-6 was replaced by Ford’s brand new 3.8 liter V6 which produced 112 horsepower. Ford with the Granda had correctly read the wants and needs of its customers, its sales were very good. The Granada was reliable transportation which gave frugal buyers a more upscale car for their money. Granada production was slightly over 300,000 for 1975 and even during a bad U.S. economic recession during the 1982 model year, Granada production was still very good with slightly over 120,000 units produced. When Ford redesigned the Granada for 1983, it decided to rename it the LTD and rename the full-size LTD the LTD Crown Victoria. Sales were still good but Ford had plans yet again to move in a different direction. The boxy more compact traditional vertical grille rear-wheel drive cars that were so popular in the 1970s like the Granada were in the 1980s being replaced by more fuel-efficient aerodynamic front-wheel drive cars. In 1986 the all-new ultra aerodynamic front-wheel drive Taurus replaced the LTD. Even though Ford has never brought back the Granada name in the U.S., the Granada did serve Ford and the customers who bought one, very well since it was an attractive, reliable, and upscale car that fit many customer’s limited budgets.